Sour Patch Kids was designed as a heavy-yielding trichome producer. 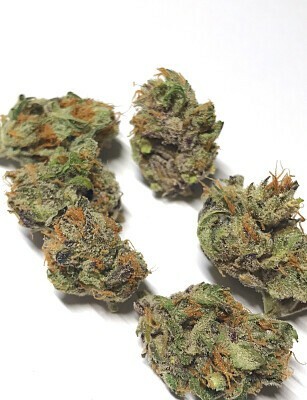 This was achieved by crossing Kimbo Kush’s sweet, doughy aroma with Sour Kush’s pungent odor and generous production. Sour Patch Kiss stands as a 60/40 sativa-dominant hybrid but represents its Kush lineage in effects. Offering a heady rush at the onset due to its high-THC percentage, Sour Patch Kiss offers a melting euphoria that settles in the limbs as low-level sedation, curbing stress while honing focus.